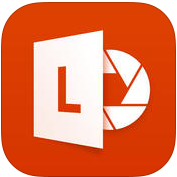 Office Lens is an app from Microsoft that is designed for converting pictures of notes on whiteboards and paper into notes that can be edited in Microsoft Word or PowerPoint. I wrote about the app eight weeks ago when it was still in a limited beta for Android users. Office Lens is now available for all Android users. You can find the app in the Google Play store. The iPhone version is available here and the Windows Phone version can be found here. Probably the best aspect of Office Lens is that hand-drawn images and figures captured through the app can be separated from the text to move and manipulate as individual objects in PowerPoint slides. See the video below for an overview of Office Lens.